A 4-Seasons resort, open all year. 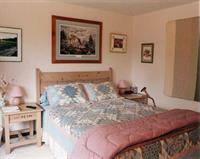 Experienced Innkeepers can personalize your vacation. Call PST. 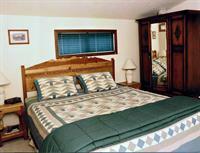 DiamondStone Guest Lodge is located between Sunriver and La Pine. 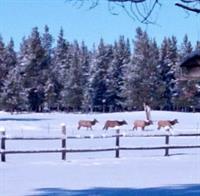 Custom lodging on peaceful rural acreage. A privately owned mini-resort off the beaten path, customize your getaway for special memories. Family Reunion? Wedding? 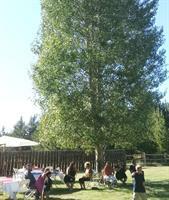 Meetings and events, indoors and outdoors with 5 acres to enjoy. 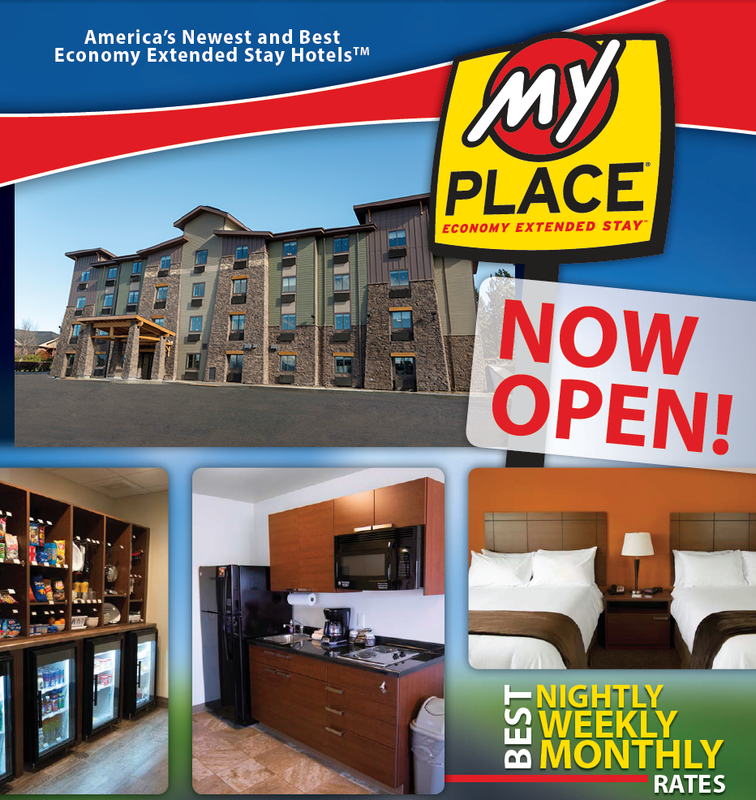 Open all four seasons for short term vacation lodging. 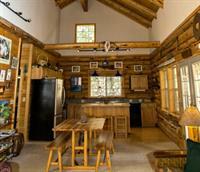 Choose the rustic-chic Homestead Lodge – Cabin great for groups, or private lodge suites. 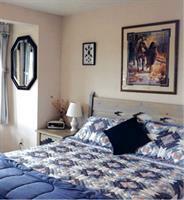 Artfully decorated invites relaxation, a home away from home. All linens, towels, cookware, dishware provided. All units have private entrances and private baths, some with full kitchens, others with kitchenettes. Many decks with forest views to socialize upstairs and down. Outdoor Hot Tub, propane barbecues. 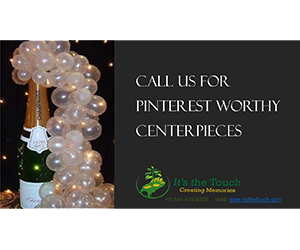 Event Center and Motorcycle Rentals on site. At the foot of Newberry National Volcanic Monument, near world class Mt. Bachelor Ski Resort, Cascade Lakes Scenic Highway, and Crater Lake National Park. Fishing or kayaking/floating the Little Deschutes River is within walking distance. 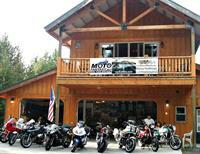 Motofantasy street motorcycle rentals are on site for experienced riders with mc endorsement. Hiking, snowshoeing, cross country skiing are close, and the highly rated Quail Run Golf Course is just one minute away. Call our helpful staff to discuss your needs. 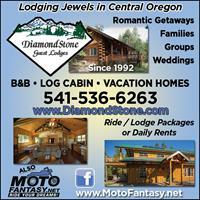 DiamondStone hosts an annual outdoor 3-Day July Music Festival-Fundraiser, the ''Newberry Event,”, with live music of many genres, & free camping to benefit the Oregon National Multiple Sclerosis Society (www.NewberryEvent.com). 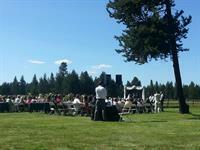 NEWBERRY EVENT July 3-Day Music Festival-Fundraiser to Defeat MS brings live music & arts to South Central Oregon. MOTORCYCLE Street Bike Rentals to experienced riders. Many marks. 2015 Norton Commando! 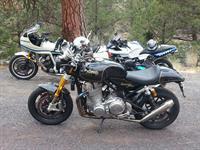 BMWs, Harleys, Honda CBX & more. HWY 97, WEST on Prairie. LEFT on Huntington Rd. Sharp RIGHT on Riverview. RIGHT on Otter Dr. BEAR LEFT it becomes BRIDGE Dr. RIGHT on SPRAGUE. DIAMONDSTONE is FIRST DRIVE ON RIGHT. 16693 Sprague Lp.